We are delighted to be able to offer this brand new villa for 2019. Surrounded by olive trees and just a 10 minute walk from Sivota on Lefkas Island, this is the perfect villa to relax in after your time on the water. The villa sleeps up to six people in three double bedrooms and with open plan living, kitchen and dining area, it is ideal for a group of friends or a family. 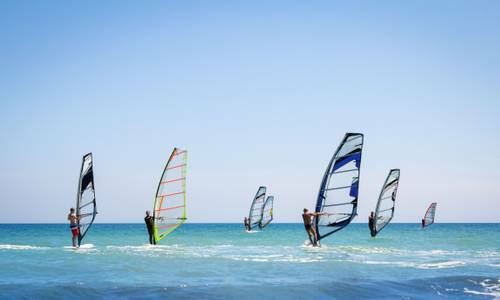 Even those not doing the sailing can enjoy a week or two in the Meandros this summer. The yachts coming and going in the harbour are entertainment in themselves. The introductory prices of 2019 will also be an attraction we suspect. This is a very special place with the most spectacular sunrises for those up and about at that time of the morning! The vista changes by the hour throughout the day! All bookings include a class B hire car. It is only available for 12 weeks of the summer this year due to local regulations. Barrie and Heidi will be there themselves in May and October. The villa is one of the few with “bungalow style design”, meaning that the master bedroom, the huge open plan living/kitchen/dining area along with the pool and BBQ are on the same level. With the master bedroom located on the main floor and the two other ensuite bedrooms on the lower floor, this accommodation is ideal for up to six people. It features large ensuite bathrooms, with “vast wet room” style showers and double sinks. - Outdoor covered BBQ area. 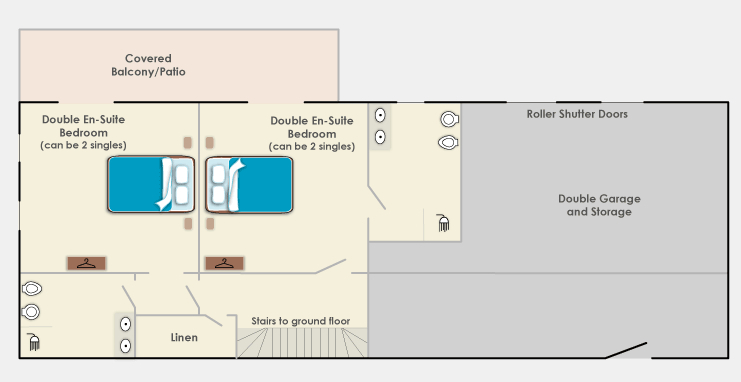 - Two double or twin bedrooms with ensuite - both with own balcony space. The open plan kitchen and living space opens out to a fantastic outdoor barbeque area and a swimming pool with an amazing view out to the islands of Atoko, Oxia and the Dragoneras. The outdoor cooking area is covered so it can be used even if the weather gods aren't quite on your side. The view down the valley to Sivota Village is outstanding at any time of day. You can while your days away watching the yachts come and go in the harbour below you. Villa Meandros is located on the hill above Sivota village, the closest airport is Preveza which is around an hour away by road. 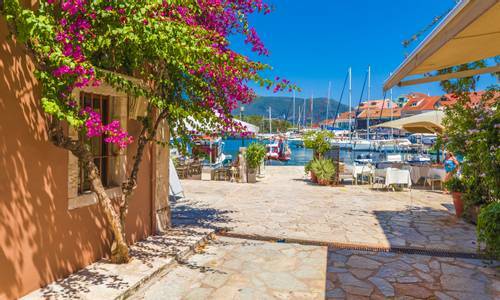 Lefkas Island (also known as Lefkada), is joined to the Greek mainland with a long causeway and a floating bridge. 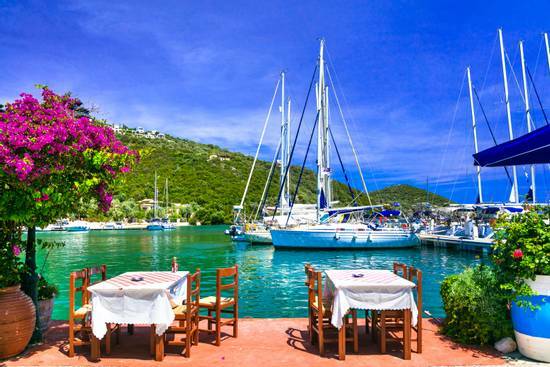 Vassiliki is a large wide bay located on the southern tip of Lefkas Island. The pebble beach is most famous amongst the windsurfing crowd. The wind is funnelled down the valley making for great conditions for beginners in the morning and all the more exciting winds in the afternoon! Being based on Lefkas means that you are ideally located to do some island hopping around the Ionian. You can take a ferry to the islands of Meganisi, Ithaka and Kefalonia from several different ports on Lefkas. There are also plenty of places to rent small boats from if you fancy pootling around for the day. 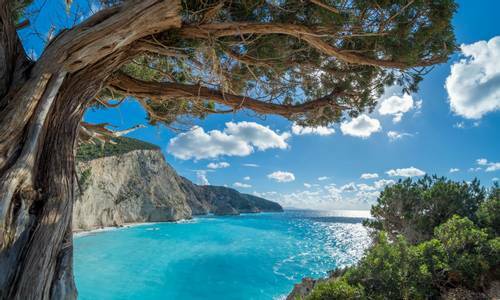 The western coast of Lefkas is famous for its long sandy beaches, stunning emerald waters and dramatic cliffs. Porto Katsiki, Egremni and Milos are just three of the many beaches along this coast line. All are easy to reach by car or day trip boats go from plenty of the larger towns. The walk down to Sivota Village is a ten minute walk down the hill. Here you will find a myriad of tavernas and shops as well as a lovely bakery and a supermarket. You can walk around the bay to find some nice spots for a cooling dip in the sea. Making your way back up to the villa might require a couple of “get your breath back” stops but good exercise. There is also a good sized car park at the bottom of the hill so you can drive down, no need to lug that heavy shopping back on foot! We are pleased to be able to offer this villa from Mid-June through to Mid-September. Flights will be included in the flotilla cost. If you would like to hire the villa by itself, you can either arrange your own flights or give us a ring as we may be able to provide flights at an additional cost. Get in touch with our Sails Crew to find out more about Villa Meandros and the villa flotilla packages that we have on offer.